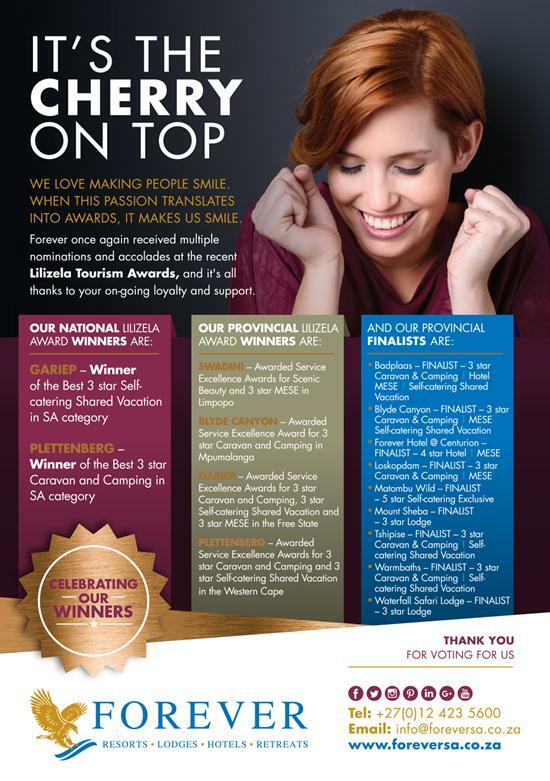 Forever once again received multiple nominations and accolades at the 2016 Lilizela Tourism Awards, and it's all thanks to your ongoing loyalty and support. We love making people smile. When this passion translates into awards, it makes us smile. PMR Africa Diamond award for Badplaas! 27 November 2015. 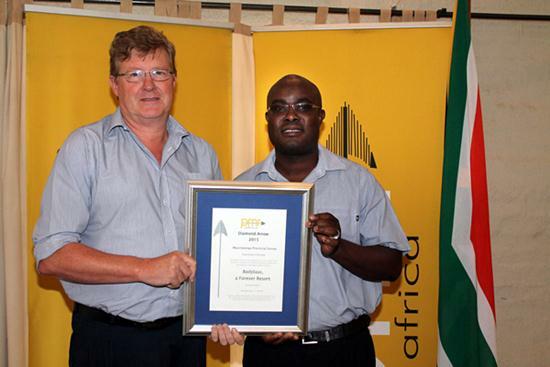 Badplaas received the PMR Africa Diamond Arrow (1st Overall) for holiday resorts in Mpumalanga - Badplaas, a Forever Resort, being the resort doing the most in the category for holiday resorts to stimulate economic growth and development in the Mpumalanga Province. 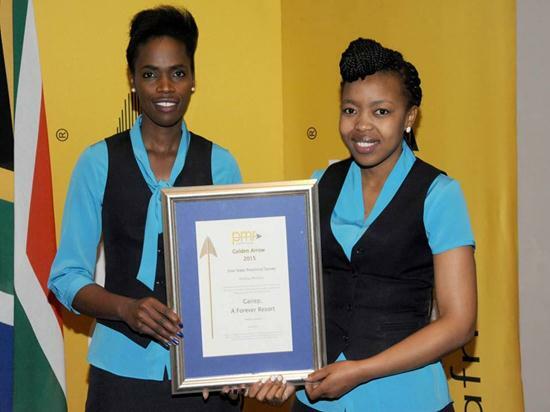 Well done Gariep for winning the PMR Golden Arrow for Excellent Holiday Resorts, Free State province survey 2015! Keep up the great standards and service. Copyright © 2019 Forever Resorts, Lodges, Hotels and Retreats. All Rights Reserved.